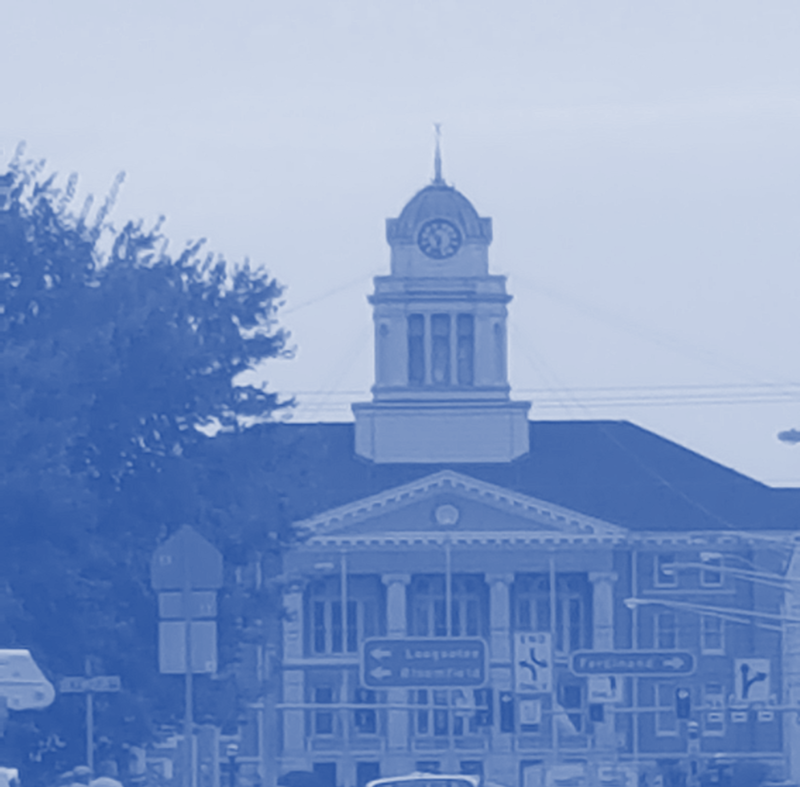 DUBOIS CO. -- From July 18 to July 21, Dubois County kicks off its bicentennial celebrations with a large array of activities around the 200th day of the year. Throughout the four-day, county-wide celebration, many shops will be having great shopping deals, activities, and samples. Be on the lookout for red balloons outside shops that are doing something special during that time period! On Wednesday, July 18, the celebrations begin with an open invitation for the public to sip, taste, and shop in downtown Jasper. From 12 pm to 7 pm, Chocolate Bliss & Kitchen Essentials will host French Lick Winery and Occasions of Jasper will host Monkey Hollow Winery, offering samples, wine by the glass, and wine bottle purchases. Many other shops featuring red balloons outside will be having tasty treats / appetizers, other non-alcoholic beverages, entertainment, and shopping deals. From 4 pm to 7 pm, Basket Case Brewing Company will be on location at Downtown Fitness & Running, offering free samples and pours for purchase (cash only). If you like what you taste, head to Mill House and purchase a growler of your favorite craft beer to take home with you! Alongside French Lick Wine samples on July 18, stop in for a free truffle at Chocolate Bliss. Also, receive $1.00 off a box of 12 or more truffles. In addition to the tastings of Monkey Hollow wines, all Occasions of Jasper's wine-themed products will be 20% off and be sure to register to win a wine tasting party package. At EJ and Dots, enjoy food and beverages, plus take 20% off your purchase of $20 or more. Finishing Touches is celebrating the bicentennial and the shop’s 40th anniversary. Enjoy Wind & Willow tasty samples and receive 40% off a selection of items. Merle Norman invites the public to enjoy appetizers, beverages, and a great sale, including 30% off all Kenra Hair Products. Patriotic treats and refreshments will be available at Just Whimsy. Just Whimsy will also be having their “Red, White, & Blue” sale. Elements will be having summertime refreshments and 20% off many items in the store, including sterling silver jewelry, summer candle scents, and all summer clothing in store. After the “Sip, Taste, and Shop,” stay in downtown Jasper for a movie at the historic Astra Theatre. The cult-favorite film, The Princess Bride, will be shown at 7:30 pm at the Astra. The Princess Bride is a 1987 American romantic comedy, fantasy, adventure film. It tells the story of a farmhand named Westley, accompanied by befriended companions along the way, who must rescue his true love Princess Buttercup from the odious Prince Humperdinck. To purchase tickets for the showing, visit www.astratheatre.eventbrite.com. On Thursday, July 19, the 200th day of the year, the celebrations continue in Ferdinand and Huntingburg. From 5 pm to 8 pm, the Bicentennial Birthday Block Party takes place on Huntingburg’s historic 4th Street. Enjoy kids’ activities, live entertainment, tasty treats, and great shopping. The red balloons will be outside the participating shops. In Ferdinand on July 19, enjoy a free movie night showing of the family-friendly film, Ferdinand the Bull, at the Ferdinand Branch Library. Before July 19, stop by Traditional Arts Today to register for a possibility to win a painted farm scene piece of art from local artist Barb McCulloch, entitled “Going North to Ferdinand.” The winner of this art piece will be drawn before the showing of the movie. In collaboration with this bicentennial event, the Ferdinand News is doing a coloring contest for adults and kids, beginning July 3. Winners will be receiving age-appropriate prizes and will be announced before the July 19th movie as well. The Ferdinand News is also offering a 1-night only $20 special for new subscribers. Also in Ferdinand, on July 18-19, Tin Lizzie’s will be having a “Buffalo Hunt” in the store in honor of Dubois County’s history with the buffalo trail. Participants who find at least one will be eligible to win one of three prizes. Participants finding all four buffalos will be eligible for the grand prize. On July 19th from 5:30 pm to 7 pm, Tin Lizzie’s will also be having an ice cream social. On July 20, Traditional Arts Today in Ferdinand will be offering their Overshot Blend Coffee and homemade cookies from 10 am to 5 pm. The Ferdinand Antique Emporium will be open later than usual, until 7 pm, on July 18 and 19, offering cookies and sales. As this bicentennial celebration is a collaborative event, more activities will be continuously added. Please check the website http://bit.ly/DuboisCoBicentennial for updates. If you are wanting to do something special during the dates of July 18 -21 and would like to be added to the list of events, contact Whitney Hall at whall@visitduboiscounty.com or 800-968-4578. Other Dubois County events are also taking place during this same time period. The Dubois County 4-H Fair will be taking place from July 16-20 with a variety of events. The Dubois County Youth Triathlon takes place at Huntingburg League Stadium on July 21. Also, the area’s first “Rock Lotto” will be taking place at the Astra on July 21, where twelve local musicians will be divided up into three bands and a competition will ensue.